Did The NFL Honors Go To The Right People? On Saturday night, before the Super Bowl, the NFL handed out it’s annual honors, going to the best players over the course of the season. In this column, I’m going to go through each one, and decide whether they deserved it or not. 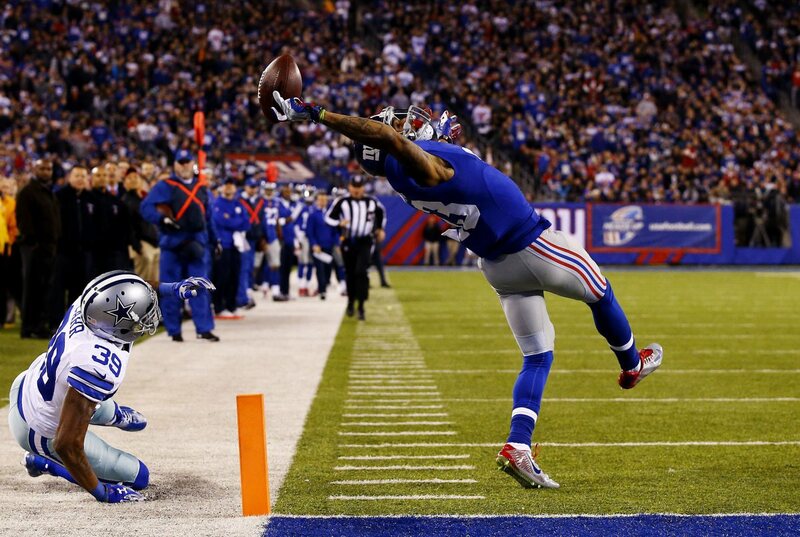 Offensive Rookie of the Year: Odell Beckham J.R. I was quite surprised when I heard people dispute this. In my opinion, Odell Beckham J.R. was the clearest answer to this award. Cases were made for others, like Mike Evans, but Beckham blew everyone away. At the end of the season, I knew that the winner of this award would have to be a wide receiver. Beckham was tops on my ballot, but Mike Evans and Sammy Watkins weren’t far behind. The most impressive thing about Beckham’s season was that he only played 12 games. Due to a hamstring issue, Beckham missed the four games of the year. Reports had the Giants mildly frustrated with him. But then he was healthy, and was starting. His impact was immediate, and he started blowing people away. Then Week 12 hit, and Beckham blossomed. Lets just say, that happened. After this catch, possibly the best ever, Beckham went off, and finished the year with 1,305 yards and 12 touchdown receptions. The guy is freak, and is already turning into a star. Beckham’s role should be expanded next year. He does have a good passer to throw to him. He should be the go-to-guy next season for New York. Have fun, cornerbacks. This is an award that I actually disagreed with. There weren’t many candidates though. Anthony Barr of the Vikings topped my ballot, as he was a main contributor to a surprisingly good defense. Aaron Donald had high expectations in the draft, and went around where i figured him to go. The Rams defense is great, and was great before they took Donald, but he added the bulk they were looking for. Donald has nine sacks in 2014, and forced two fumbles. The Rams have a great set of defensive ends, and Donald turned out to be a nice compliment. I expect him to get even better, and that will make St. Louis a dominant defensive force next year. This is a little bit hard for me to comment on, just because I didn’t own Bell in fantasy this past season, but he did turn himself into one of the most exciting running backs in the league. Bell broke out this year with Pittsburgh, rushing for 1,361 yards and 8 TDs. An improved offensive line helped him out. The offensive line is part of the offense that’s had it’s struggles. Some stability was enforced over the offseason, and that certainly helped out Bell. Le’Veon Bell is now, in my opinion, one of the best backs in the league, and might be the most exciting to watch. His rookie year was a disappointment, but now, with a improved line, should destined for even bigger things next year. In 2013, Gronk was a mess. He had forearm and back surgery over the offseason, and didn’t comeback till late in the year, before tearing his ACL. It was a killer blow to the Patriots offense. This year, Gronk’s return propelled the Patriots to Super Bowl Champions. Really, the Patriots wouldn’t of even been in the Super Bowl if Gronk wasn’t healthy. He means that much to New England’s offense. I’ll talk more about this later, where Gronk was very disrespected in voting of another award. Did you really think I’d pick anything else? I mean seriously! Bruce Arians coached a Cardinals team that STARTED RYAN LINDLEY IN THE PLAYOFFS to 11 wins! Two quarterbacks went down, plus a running back! They still made the playoffs. Also, Todd Bowles got hired by the Jets because of what he did this past year. I’m sorry. I’m being a total homer. But really, no one should disagree. This is the class that everyone loves, because some of the guys listed above have been waiting forever. Really, I don’t disagree with anyone of these guys getting voted in. Charles Haley has the most Super Bowl rings out of any player ever with five. He was beast when he played, and made his impact on two different dynasties. Jerome Bettis was a fullback who had the skills to play running back, and the Steelers treated him like that during his career. The guy couldn’t be tackled. He was litterally a bus. Tim Brown is one of the best Oakland Raiders ever. There was no question he’d be voted in. Ron Wolf and Bill Polian are some of the best executives we’ve had, and were certainly the creme of the crop over the past 20 years. Their team-builidng skills put together great teams. Will Shields and Mick Tingelhoff are another group of offensive lineman who’ve been waiting forever. Tingelhoff handed the ball to Fran Tarkenton for his career, and appeared in four Super Bowls with Minnesota. Will Shields was one of the best lineman of the ’90s, making an All-Pro team in what seems like every year he played. Shields also blocked for running backs like Marcus Allen, who my Mom has always acclaimed as one of her favorite football players of all-time. Junior Seau was incredible. Outstanding. Seau, for me, was one of the role models in the league. He was one of the first guys I knew within the NFL growing up. The guy was a beast. His suicide in 2012 was tragic, for everyone within the NFL and truly sports fans. He never gave up on any play, and his tenacity and love of the game was never in question. He deserves this. 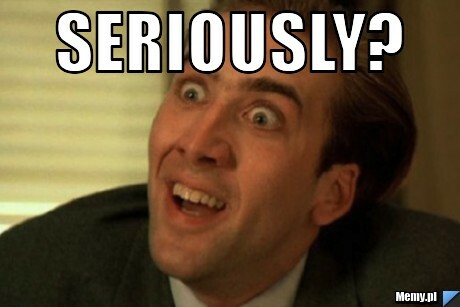 I could put the Nicholas Cage picture here again, but that would be obsessive. J.J. Watt is just an animal. You can’t stop him. His interior moves are ridiculous. Watt got his money, and he only made himself look worth it this past season. With 20.5 sacks and four fumbles, the guy is unblockable. Watt’s also just getting started with his career at 25 years of age. He’s gonna be around awhile. The Texans have a great defense even without Watt. He applies the bull rush on the line. He’s the Texans main run stopper, while also getting to the QB. Houston’s linebackers then drop into coverage in the short and mid-field. Watt isn’t the most valuable player in the league, however. He plays defense, which hurts his stock. Defense wins championships, but it’s a more of team game on defense. You have to do your job. On offense, some guys are able to do it their self. I think the MVP turned out the right way. Watt got the right amount of votes. The case for him was there. The guy below was just a tad better. There wasn’t any doubt in my mind that Aaron Rodgers would get this award. It may be unfair, but QBs get the advantage. I say it a ton, but you have to have a QB in this league to win. That’s why Rodgers got it. His stats too were ridiculous. He threw for 4,381 yards and 38 TDs. That’s insane. His overall rating this year was 112.2, and he only threw five interceptions! FIVE! Rodgers may not have had the ending he imagined to the season, but the Packers will back next year. With that bad man at QB, there’s no way. That was mine and everyone else’s mindset when the ballot was released. Yes, Wagner is a great linebacker who helped Seattle start playing like the defending champions later in the year, but in no way is he the MVP of the league. Tony Dungy casted the vote for him, and tried to defend himself on Twitter, but, well, sorry man. Nobody (NOBODY) agrees with you. Watt got the right amount of votes. As I said above, the case for him was there. I found Tony Romo getting votes quite funny. Yes, he had a great year, and improved himself and his team, but I’d put Tom Brady way higher than Romo. His running back, Demarco Murray, had a breakout year, and put up some gaudy stats, but again, there were better options. Murray, in my opinion, would’ve had to break 2,000 yards for his case to be higher. My biggest problem with the MVP ballot is the fact that Rob Gronkowski got ZERO votes. None. As I said above, I didn’t expect him to win it, but he should have gotten some consideration. He definitely deserved the Comeback award, but his impact on the Patriots offense is huge. Without Gronk, I don’t believe the Patriots would be Super Bowl Champions. Yes, Tom Brady is their QB, but really, who would Brady have to throw to without Gronk? It’d be a bunch of slot, speedy guys. New England would have no downfield threat for Brady to throw to. Gronk did everything this year, and I can’t stress enough how much he means to the Patriots. He should have gotten Bobby Wagner’s vote. Blames on you, Tony Dungy. I think we're in it for an all time second half. And it was. It sure was. It turned out to be one the greatest Super Bowls ever. It’s one we’ll never forget. I basically sat all day waiting for the game to start. I watched multiple hours of pregame. I couldn’t do anything else. I woke up Sunday with a mild fever, a running nose, and a bad cough. It was the worst way to spend Super Bowl Sunday. It didn’t limit my excitement for the game though. In the Hippel House, the Super Bowl is treated like a holiday. We ate before the game, a little early in the evening for us. Those ribs were pretty good man. I seriously couldn’t wait for the game. I was pumped as kickoff came. The first quarter was quite disappointing. Neither team got anything going. A bunch of three&outs began the game. The Patriots definitely had looked better than Seattle, but still, no one could get anything going. The second quarter though, provided lots of excitement. It was about time. The Patriots got a hold of the Seattle secondary, and it resulted in a Tom Brady TD pass, which was one of his four of the night. Seattle responded soon after with a similar drive. Marshawn Lynch took the ball into the end zone, tying the game at seven. Seattle had gone after New England with the running game early, and it paid off. Lynch finished with 104 yards, but his heaviest workload came in the first half. The final two minutes of the half was total chaos. An amazing drive by the Patriots was capped by a beautiful catch by Rob Gronkowski, who was matched up with K.J. Wright, a massive disadvantage for the Seahawks. Gronk beat him on the route, and went up and over Wright on the play. It was a beauty. Seattle answered with an even more amazement, going on a 80 yard drive that lasted only 29 seconds. Two long pass plays set up the drive, but it was capped by an unlikely figure. Chris Matthews; who was selling shoes just a couple months ago. Matthews wasn’t a stranger to football, as he played in the CFL, but the dude just might of been the MVP of the game. His TD was unbelievable. He made a ridiculous catch, and it tied the game right before halftime. Seriously, he might have won MVP had the result been different. I’ll get into halftime later in the column. I have some thoughts on it, mostly positive. The third quarter was something that I would have called “The Shift”. However, that term is went bye-bye later in the game. It refers to what transpired in the third quarter, where Seattle came out on fire. First, a nice, long drive started the half, but Seattle kicked a field goal to end it. It’s possible, that with a TD on that drive, we would have had a different outcome. New England was stuffed on multiple ends by Seattle’s defense in the third quarter. They started playing like the best defense in the league for once in this game. The Patriots could do nothing. It started to look like Seattle was on it’s way to repeating. The Seahawks scored again in the third, this time it being a Doug Baldwin TD catch in the back of the end zone. The real highlight though, came after the play, when Baldwin pretty much pretended to poop the football. I’m immature, but I found it quite funny. Not to many people were happy about it. The game was the most widely watched TV program in history. The whole country saw him poop a football. NBC probably wasn’t too thrilled either. The fourth quarter, is what we can now call the shift. The true shift. The one that changed history, and the one we’ll remember forever. The score coming into the 4th was 24-14 Seattle. The Patriots didn’t care. On their first big drive of the quarter, Julian Edelman took a huge hit on deep pass over the middle of the field. He got up, thinking he wasn’t down, and wobbled for a couple yards. His knee was ruled down at the first spot, but the bigger impact was the hit. Edelman was clearly woozy, and even later in the drive it was evident. I felt like I was the only one who noticed, but after Edelman left the game shortly, it was picked up upon. On that same drive, Danny Amendola caught Tom Brady’s 3rd TD pass of the game, cutting the Seahawks lead to three. The drive, like many Sunday night, was ridiculous. Tom Brady was incredible in the fourth quarter. I’ll get into that later. After a dud of a Seattle drive, New England got the ball back, down three, with 6:42 left. It was setting up wildly. It ended that way. The drive was immaculate once again. Tom Brady and the Pats orchestrated it perfectly. Gronk had a huge impact on the drive, but not necessarily the impact I expected him to on the game. His 20 yard catch was only one of many plays that the Patriots made on the 4:50 drive. At the end of it, the Patriots led 28-24. Brady found Julian Edelman, who was being tested for a concussion on the sideline for most of the drive, in the end zone for Brady’s 4th TD toss of the game. The comeback had succeeded. Now, they had to defend it. The Seahawks only had 2:02 remaining. The Patriots did a great job killing clock, but it still gave Seattle a chance. On the first play of the drive, Russell Wilson threw a deep pass to Marshawn Lynch, who was uncovered at the time, and completed the 31 yard play. Things looked good early. Seattle went down the field, but took a lot time. I was screaming at the TV telling them to hurry up. I honestly thought they would run out of time. One catch changed that. I don’t know if you can call it a catch. That was a catch. I couldn’t believe what I saw. I really could not believe it. Me and my family sat there in shock, before my Dad spoke a that included some obscene words, describing the catch. I don’t think anyone could believe what had just happened. This phenomena had plagued the Patriots in their past two Super Bowls. Flashback to David Tyree and Mario Manningham. Both made incredible catches to beat the Patriots in Super Bowls. It looked like another did it too. Anyways, his tackle didn’t allow Lynch to get in the end zone. The Seahawks should have done the same thing on the next play. That, did not happen. Instead of punching Lynch into the end zone, the Seahawks called a inside slant route to Ricardo Lockette, only a yard from the end zone. First, why would you not use Lynch? He just power ran it almost into the end zone, why not use him again? He’s one of the best running backs in the league!!! The throw, by Russell Wilson, wasn’t great. It was close range, and Malcolm Butler was closing in on the wide receiver. His cut was great. He totally jumped the route. And by jumping that route, he made the biggest play of his life. Butler picked off the ball. The short pass, which hadn’t even gone a yard, was picked clean. It was unbelievable. It was the last thing you expected to happen. So many things were up in the air with this. Really, this game shouldn’t have ended like this. The Patriots kneeled the ball, and that was it. They were World Champions. Tom Brady and Bill Belichick captured their 4th ring, while only adding to their legacy. It was quite a moment. And it was quite a game. This is what shaped this game. Entirely. The Seahawks were that play call away from winning the Super Bowl. A different play and they would have completed what would have been one of the greatest game-winning drives ever. Pete Carroll took the blame for the call, but it did come from offensive coordinator Darrell Bevell. Honestly, it falls on Bevell. The cluelessness that he had to call that play is what cost the Seahawks the game. There is no other way to put it. It’s so disappointing it ended that way. Me and my family were also confused about why they didn’t punch it in. Lynch had been great all night. There, in my opinion, is no explanation for it, no matter who it comes from. Katy Perry, along with Lenny Kravitz, and Missy Elliot preformed at halftime of the game. And yes, I did know who those three people were before the game. I thought Perry’s performance was awesome, and it was actually better than I expected it to be. She’s really good live. The dancing sharks, I thought, were actually pretty funny. The beach scene set was really cool. Someone made a joke on Twitter about how that was as close to a Championship the Sharks would get, in reference to the San Jose Sharks. When I saw that tweet, it put me in a bad mood. I didn’t find it funny, especially after what happened last year. For the big deal they made about Lenny Kravitz joining the show, he really didn’t have a huge role. That bummed me out. It was more Missy Elliot than him. I wasn’t a fan of it. Overall, it’s really great that we’ve had two good halftime shows in back-to-back years. Bruno Mars killed it last year. It’s a good thing for the NFL, but really, they’re the ones who are really winning, giving how much money that they racked up from Perry. The Fiat commercial aired early in the game, and it was easily the best commercial of the night. Yes, it was quite inappropriate, and very clearly referred to, well, yea, you get it. The Brady Bunch commercial was a classic. “Marsha, Marsha, Marsha!” As far back as I can remember, Doritos has always had good commercials, and Sunday they just added to it. The dude sitting in the airplane did everything he could to avoid someone taking the middle seat, till a smokin’ hot women comes by. It’s genius! BMW’s I3 commercial was great too, flashing back to when the internet was brand new, and nobody knew how to use it. My parents reflected on that after the commercial ran. I wasn’t alive. Morhpie’s commercial basically showed a very humorous doomsday, where dogs were walking their humans. It concluded with, “When you phone dies, anything can happen”. And yes, these days, that is very true. Honorable Mentions for worst commercials: Kim Kardashian T-Mobile “Data Stash” , Nationwide “Make Safe Happen”, and whatever the toenail fungus company was. First of all, I was really disappointed in the Kim Kardashian commercial. I expected a lot more from that, and that’s all I’m going to say. Nationwide’s saddening commercial put everyone in an uproar, deservedly so. It wasn’t a good idea, just like the ad that GoDaddy pulled earlier last week. The toenail fungus company probably used all their sales to air that commercial, since a 30 second spot costed $4.5 million. Also, shoutout to Victoria Secrets. That commercial was amazing, and they aired it right at the perfect time. My tweet below sums it up, and what happened with the game after it aired was perfect. LET THE REAL GAMES BEGIN BOYS AND GIRLS! Lets just say, the real games did begin. I need to stop writing about this or else I’m gonna get in trouble. Sunday’s game was ridiculous. Incredible. I’ve never seen hopes shift so fast in two plays. Those hopes being raised by Jermaine Kearse’s catch and crushed by Malcolm Butler’s interception. After the catch, Seattle fans had all the hope in the world. Two plays later, it was all gone. I’ve never seen anything like it. We may not see anything like it again. This game comes in second. I really don’t want to talk about No.1. I try to forget about that game. Anyways, not only will the game go down in history, but this win puts Tom Brady in the discussion for the greatest QB ever. He has now tied Joe Montana and Terry Bradshaw with four Super Bowl wins, most ever by QBs. His name is now in the record books. His coach now has four too. The tandem of Brady-Belichick is now one of the greatest ever. Possibly the greatest. Brady did end up grabbing MVP, deservedly so. With 4 TD passes and 37/50 completions, I’m not sure anyone else could have won it. The cloud of DeflateGate is still hanging over the Patriots head, but that’s not something anyone wants to bring up. Wait for the NFL’s report. We can’t call them cheaters yet. The Patriots are champions, and I expect them to remain that. For now.